How to Jazz up a Store bought Mexican Fiesta! Sometimes you are having way too many people over to cook everything from scratch but you want to jazz it up a little. This was the case when I had a Memorial Day fiesta! Lack of time, sleep and an abundance of people called for some help! 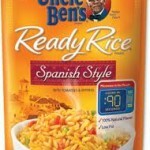 The first thing I got was Uncle Ben’s Spanish rice. Usually on its own this rice is pretty good but I felt like it needed a kick. 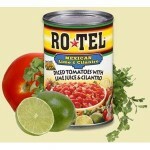 To jazz it up I added a can of Ro*Tel diced tomatoes with lime and cilantro. I think I added about one can per every 3-4 bags. I also added some fresh cilantro and finely chopped some jalapenos to toss in (d-seeded so it was not too hot). I also added some cumin spice, a little bit of chili powder and some fresh squeezed lemon juice and it was awesome!! 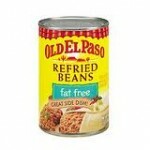 Next, what’s a fiesta with out re-fried beans?! These beans are good but usually a hint on the bland side. To jazz up this side dish I added a little bit of olive oil to a pan, let it heat up and then threw in diced onions, green peppers, part of a jalapeño, sea salt, cumin and a splash of tequila (tequila makes everything good right?!) I had so many cans of re-fried beans that I really did all of this by eye so I cannot give you exact measurements. I poured the sautéed mixture and a splash of lime juice into the beans. It helped to make them a little less thick and it had a really nice kick to it and was really easy! Usually pre mixed margaritas are the way to go to save time but I can’t stand how much sugar is in the normal mixes. 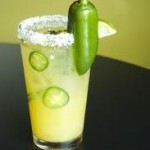 Yes there are some great low cal options but since creating my own I find these fresh margaritas just as easy. I wish I could tell you how many ounces of each ingredient that I use but I like to wing it depending on the size of the pitcher I am making it in and who I am making them for! For my fresh margaritas I like to use 100% Agave Tequila, fresh squeezed limejuice, triple sec, light agave nectar and diet tangerine/lime Hansen soda. This last ingredient adds such a great taste to the margarita. Also if you are daring soak a chopped up jalapeño in the tequila for 4-5 hours before using the tequila in your margaritas, it gives it quite a kick!